Receive approximately 1 point for every £1 spent on chocolates and with a value of 1p per point. 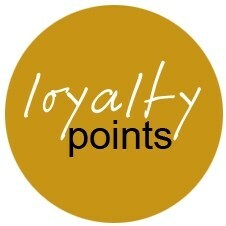 Loyalty points are awarded to each online order and can be redeemed or banked on future orders. Once you have saved enough points it is possible to make a chocolate order for free!